So, I thought it would be a good idea to take a little break from the discussion of prayer to review a movie I saw recently, though we will probably be talking about prayer by the end of this. 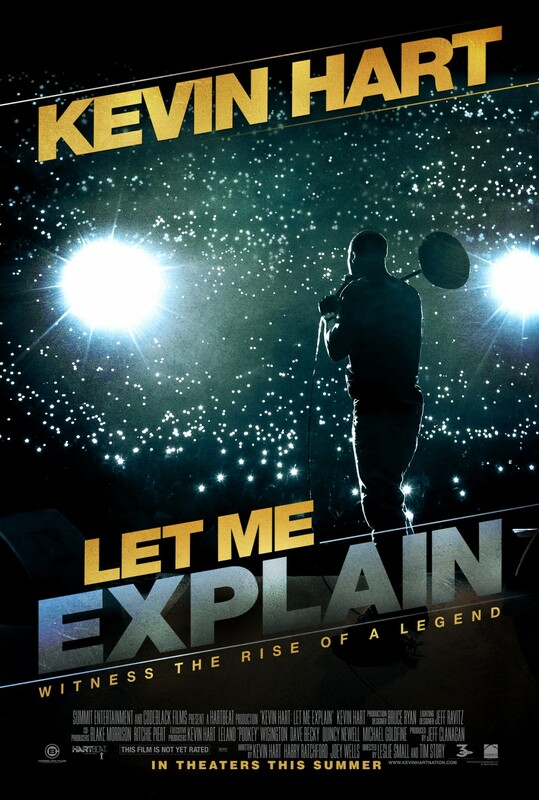 The movie I recently saw was “Kevin Hart: Let Me Explain”; a hilarious and poignant documentary/ surrealist-film/ standup show that portrays Hart’s signature self-deprecating-yet-cocky style to highlight issues in his own life. Now I will forewarn you, this is not a typical review. If you would like that, there are many other outlets for that. Like my previous movie reviews (here and here), this is an attempt to tease out the truth that Kevin speaks in this film. So hang on, and let’s get into it. Kevin really lays down some amazing relationship advice in “Let Me Explain” which stems from his own admitted fault of marital infidelity. I have heard the claim from other reviews about charges of misogynistic tendencies directed towards Kevin, and I would have before said the same thing. But, I have realized that a lot of the issue here is a difference of socio-economic language, and though I am making assumptions here, I would assume that Kevin comes from a predominately African-American, lower income community, and I would assume that many of those that accuse him of being detrimental to women come from a predominately white, middle-upper class community. These two segments of society speak different languages. So when Kevin uses the word “b!+ch” (censored for sensitive eyes), I do not think that his intention is to tear down women. On the contrary, I see a great support of females that many would not give. Here is an example- one of the jokes that Kevin presents stems around the idea that if you are in a relationship with a female, and when she gets mad she contorts herself in ridiculous ways and looks at you sideways… it is your fault. He literally blames men for the “craziness” of the females in their lives. How accurate! From my own marriage, I have seen where my actions, whether intended or not, have been able to really push my wife to the edge. I am at fault. Thanks for that one, Kev, I needed it. Also, Kevin hilariously deals with the issue of deceit in one’s life, and how lying becomes a way of being, and overtakes us. To illustrate this, he describes a situation where to defend his 5 minute tardiness to work, he tells of seeing a running baby on the road, adopting it, then seeing a deer-zebra hybrid (deerbra) capturing it, taking it to a zoo, then finding out the baby was actually a man with “Benjamin Button disease” who rode the zebra. I was crying from laughing so much. But this and other jokes highlight the futility of lying in our lives, that it becomes a defense mechanism for us. But it doesn’t really defend us; it paints a clear picture of who we are to those around us, and alienates us from those we love… because they can’t trust us. To close, the movie was great. Yeah, there was a lot of crude language. Yeah, there was some immodest humor. Sometimes, you have to learn to interpret tongues, even if you don’t speak in the said tongue. Go see Kevin Hart’s “Let Me Explain” with open eyes and open ears, and subvert the powers today. To begin today’s subversion, I think it is important to let you know I tried this little experiment blogging once before at everdaysubversive.blogspot.com, and I failed miserably. I wanted it to be revolutionary, incendiary, an anonymous cohort of writers, and aggressive. I wanted my blog to change the Church, and the world. Instead, it was left to fester and rot after one legitimate post. And the problems were obvious; too many voices muddle the intent, anonymity can be devoid of integrity, the times were still changing, and aggressive in that sense is not the way of the Cross. But that doesn’t mean that God couldn’t take the idea, alter it, purify it a little more, and make it something good, or at least better. Something that actually subverts the powers. You see, there are spirits that tell us lies all around us. Whether you believe that is an actual demonic spirit or the zeitgeist (spirit of the times), we all believe it in one way or another. And those spirits cannot be taken as truth just because they exist. We must test them for truth. The truth is that God wants all to follow Him, and wants good for all of those who follow Him; so by proxy, He wants good for all. Not defeatism. So today, you can subvert the powers (spirits) by trying something again. Tell that voice that says you are a failure and should give up that it is not of the Truth, and you seek Truth today. Get up, and try something again (for the record, the “spirits” didn’t want this getting out- i accidentally deleted all of this a few minutes ago. I ain’t afraid of no ghosts). Subvert the powers today. Every spirit who confesses that Jesus Christ has come in the flesh is from God. But every spirit who does not confess Jesus is not from God. you have heard that he is coming, and he is already in the world now.